How does your office look? Get ready for office jealousy- I have a pretty nice office! Check out the video to see the model home that is my home during working hours. I even have a stash of chocolate that is supposed to be for the customers. Ahem, yes, that is who they are for. Now, if only there was some wine in the fridge….. Were you a childhood builder? When you were a kid, did you love to build? 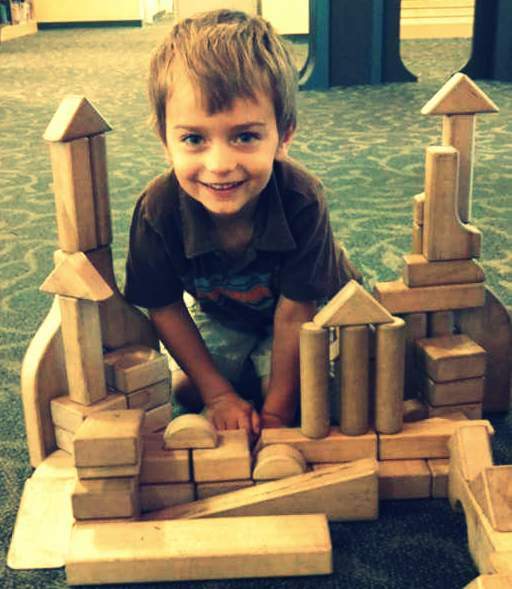 Legos, blocks, tree forts, and Lincoln logs….there were so many options to choose from! Then you grew up, and just ended up somewhere living in a house someone else choose all the features. But what if that love for building could come alive again? Would you love to make your next home exactly what you want? Walk with me back to your childhood……. What did your make-believe creations look like? Maybe if you had it to do again today, instead of a moat and towers, you would choose energy efficiency and spacious master suite? Ahh, the practicals of being an adult! At Classic Communities, we take those “practical adult” desires and bring it to life. Your next home can be anything you want it to be…..unless you want a moat. We might be able to wrestle up a fair maiden in a tower, but I don’t think the zoning board will be okay with moats, so we will rule that out. And we will build it with wood and stone, just with the grown up versions. Your adult version will no doubt be much more stable and professional than your childhood dreams would have imagined, but it will be just as rewarding and instill the same pride! Your complete satisfaction and comfort is our ultimate goal with every ‘Classic’ home we build. The dream of high quality and comfortable homes is what Virginia Halbert, our founder, started with over 25 years ago; and is what her sons Jim and Doug still bring to life today. Will you bring your dream, and allow us to make it a reality?